The intent of this position is to enhance the services we offer to our parents by offering them photos for purchase on our web site. This role would require someone to work independently, with minimal supervision. The daily routine would be to visit all of the activity areas to capture photos of children in action. Routine visits to the arena would also be required to capture hockey related photos. Other responsibilities would be to capture candid shots at meals, in lineups, around the cabin areas, and during special activities. This role would also require altering photos for uploading to the web multiple times per day. Candidates must have experience using Macintosh computers, and specifically Photoshop and CMS applications. Photos are uploaded to an online system for parents to view and order photos. Daily management of this system is required. This person would work indirectly with children but would need to possess an interest in working with children. In addition to responsibilities during the day, this role would require evening responsibilities as well. 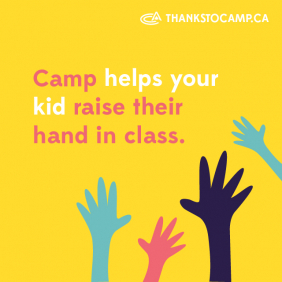 The camp photographer would be required to work evening activities, all camp activities, and Friday family nights, capturing photos for the website. Ensure that photos taken are in line with the standards set by Hockey Opportunity Camp. Create and execute your job in a productive, professional and fun manner. Attend Staff Orientation week in late June. Experience working in a Mac OSX environment. Be knowledgeable in all safety procedures: including fire, land and aquatic emergency procedures. Roam during Sunday camp registration and take photographs of families checking in. Create and execute weekly schedules to ensure all camp sections are photographed equally at camp, as well as at the arena. Take camper section photos every Sunday afternoon. Photograph during evening programming, including; evening activities twice per week and all camp activities once per week. Upload photographs daily to the Bunk1 website. Prepare section calendars for each camper’s evaluation folder every week. Correspond via phone and email to parents regarding photos when required. Basic website maintenance as required. Plan and create a staff photo album/slide show as a “Summer 2019″ memento. Assist with the development of a summer ending staff video (iMovie). Staff working a full eight-week contract period are entitled to one weekend off (Friday after daily duties to Sunday program demonstrations). Genuine interest and experience in photography. Familiar with programs such as Adobe Photoshop, Quark, Adobe Illustrator, Microsoft Office Suite and Apple iMovie.